In many cases I can just put together a quick estimate for my past clients but trying to land a new client is not easy. Not until I discovered BidSketch! 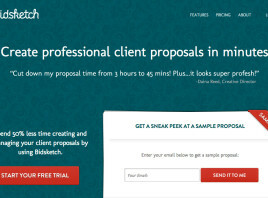 Bidsketch is an online tool that allows you create professional proposals fast. 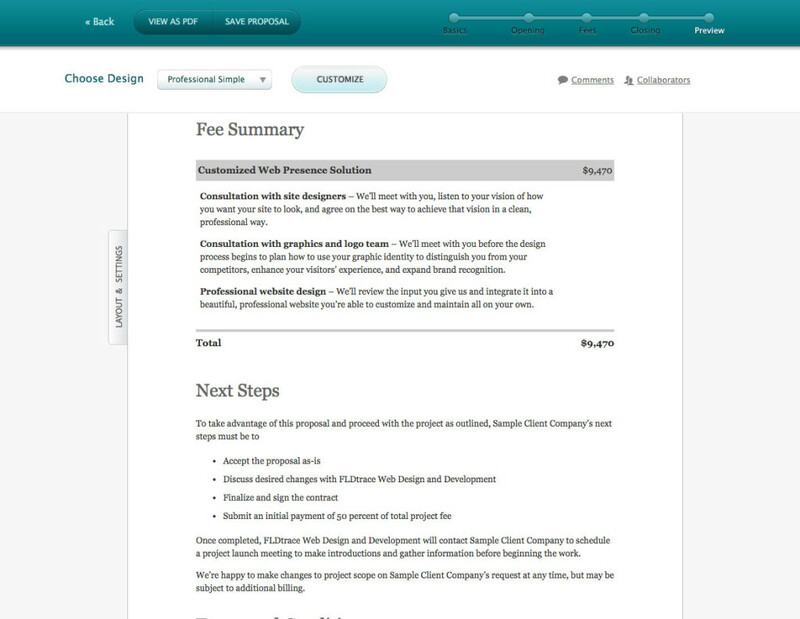 It comes with pre-populated wording that helps me spend less time on what to write and more time on running my business. I admit that I send only a few proposals each year. Those are for larger companies where I need to provide project goals, optional fees, next steps, timeline etc. This would take me hours to create from scratch. Using Bidsketch it takes me only 1h – 2h. Most of the time goes in researching the value I provide for the client’s need not in actual template set-up. 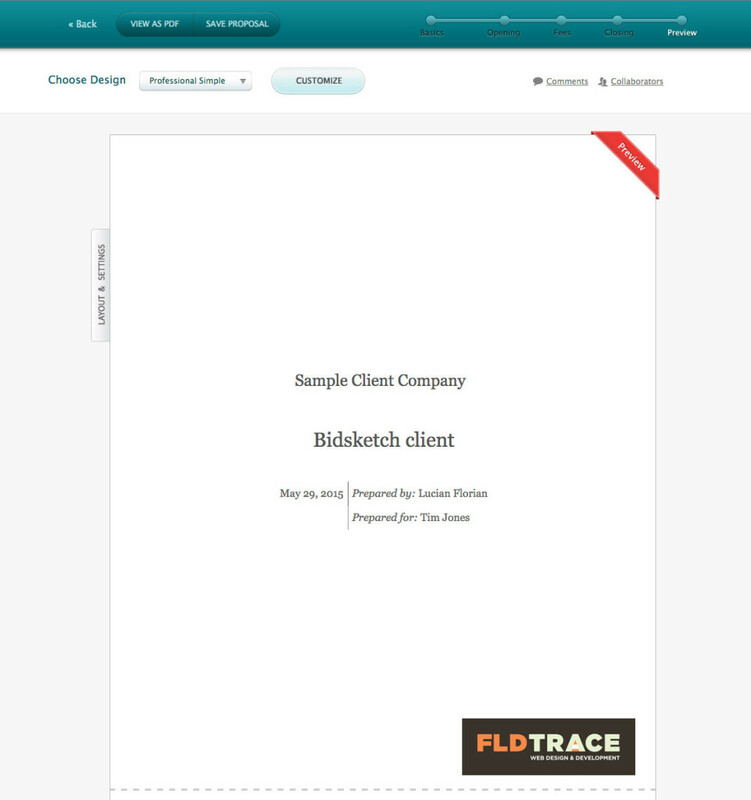 Most importantly the first time I used Bidsketch it helped me land a big corporate client! I researched other Proposal services but I mainly love Bidsketch because they provide video tutorials on how to structure your pricing and other helpful tips and tricks. They have more advance features like e-signature, email tracking but so far I save the PDF and send it to the client the old fashioned way. 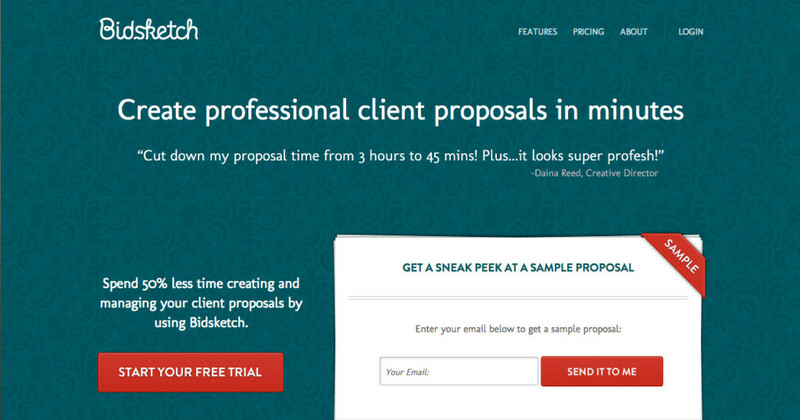 Bidsketch helps you save time creating proposals. Additionally and more importantly provides well put together templates that help you actually land bigger projects and clients. My only observation for them is that they could use a design refresh and a responsive interface. The current branding makes the look a bit dated. Besides that, I assure you that their proposal templates are current and effective. For anyone who hates sending proposals I encourage you to try Bidsketch. They have 14 days free trial then pricing starts only at $19/month.